Abraham Snow's career ended with a single shot, but his adventures are just beginning. Snow’s former partner, Samson Brooks, a retired agent turned PI, arrives in Atlanta with a problem. He’s gotten into some trouble with some bad people and needs Snow’s help to get out of it. When college student Katie Masters is kidnapped, Snow and his friends leap back into action to rescue her before the Atlanta underworld erupts into all out war. 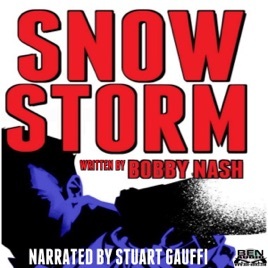 Snow Storm is the second audiobook in the continuing adventures of Abraham Snow.